Zimbabwe is one of the most beautiful and varied countries in Southern Africa. Since the coalition government and the introduction of the US dollar as official currency a few years ago, the country has stabilized and become a tourist destination once more. Zimbabwe boasts 19 National Parks which cover a total of 12% of the country. 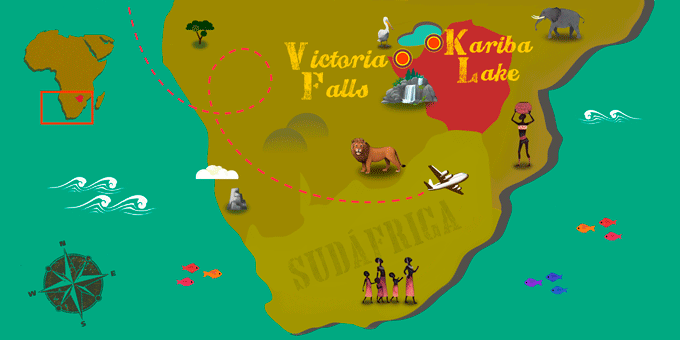 This is a place to experience authentic Africa, with an incredible wealth of species of wild animals. The animal kingdom is thriving here. Travel to Zimbabwe and stay one step ahead of mass tourism. If Zimbabwe has caught your attention, leave us your number so we can call you to discuss the voyage that awaits you.